Create a fancy look with this diamond charm from B&B Benbassat. This charm features a cut-out shape of a beautiful diamond. You'll love using it to decorate designs. It is flat and lightweight, so you can use it anywhere. Showcase it in a necklace, or try it in a flashy pair of earrings. The loop at the top makes it easy to add to projects. 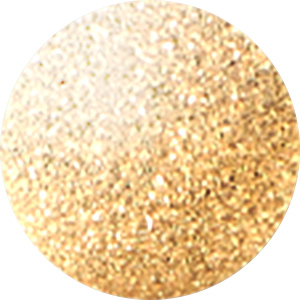 It features a regal golden shine that would pair well with classic colors. Modern style can be yours with this triangle charm from B&B Benbassat. This triangle is smooth and flat, so you can use it in many ways. Two of the points offer stringing holes, so you can showcase this piece at the center of a delicate necklace, add it to earrings, and so much more. You'll love working with this charm in your jewelry designs. Add a cute accent to designs with this bird charm. This flat charm takes on the shape of a soaring bird. Both sides of this charm are smooth and plain, so it makes a nice silhouette style. A loop is attached to the tip of one wing, so it will dangle nicely from designs. This lightweight charm is perfect for earrings, necklaces, and even charm bracelets. Use it with other bird components for an elegant look. It features a brilliant silver shine that will work with any color palette. Add this B&B Benbassat charm to your designs for a fun accent. This flat charm takes on the shape of a flying bird. It is smooth and plain, evoking the silhouette of a bird. Use it in beach themes to represent a seagull or try it as a hawk in woodland styles. The loop at the top of the wing makes it easy to dangle from designs. It will work in necklaces, bracelets, and earrings. You'll love pairing the regal golden shine with other luxurious colors. Show off a loving style with this charm from B&B Benbassat. This smooth, flat charm takes on the shape of a simple heart. The front features a subtle outline for added detail. A hole is cut out of each top of the heart, so you can showcase this charm at the center of a necklace, dangle it in unique earrings, use it as a link in a chain bracelet, and more. It features a versatile silver shine that will work with any color palette you may have in mind.